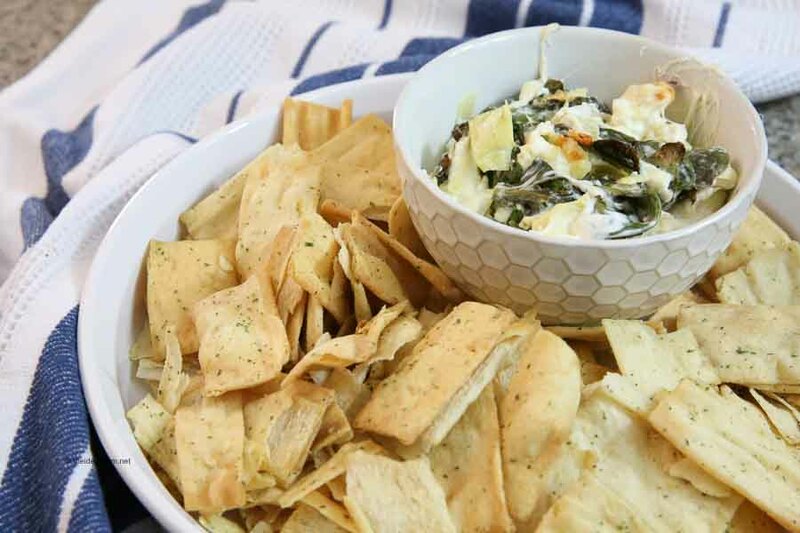 Looking for a Spinach Artichoke Dip Recipe? 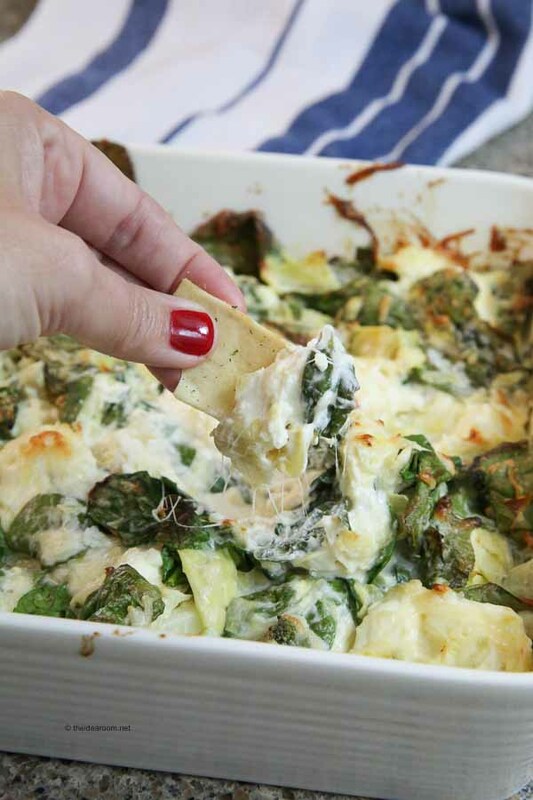 You have to try this Baked Spinach Artichoke Dip! 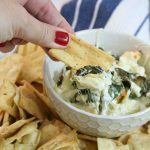 This Artichoke Dip Recipe is cheesy and delicious while making the perfect Appetizer Recipe for friends and family! Do you ever get invited to a party and wonder what to bring? 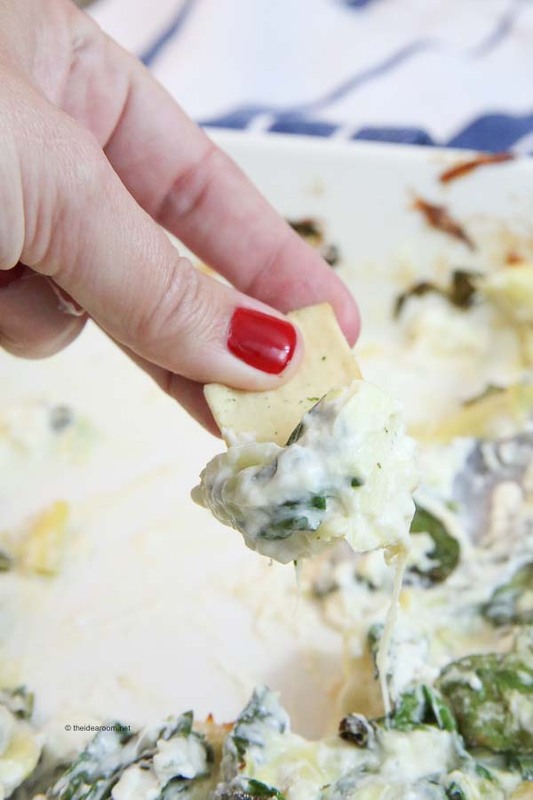 I have a family favorite to share with you today… our Spinach Artichoke Dip Recipe! This recipe is one that we have used for years and it is always a staple go to recipe when I need something quick and easy. I almost always have the ingredients on hand too, which is probably why I make it so often to share. It is so delicious and makes a great party food or appetizer recipe. I love the warm melty cheese mixed with the tangy artichokes and the salty chips! My personal favorite way to eat it is with a great pita chip. But, there a lot of different items you could serve it with…celery, carrots, peppers, chips, crackers and even spread on top of a piece of bread or a piece of crostini! But no matter what you serve it with, this one is always a crowd pleaser. If you want to bring any home, you might want to whip up a double batch though…because this one will go fast! 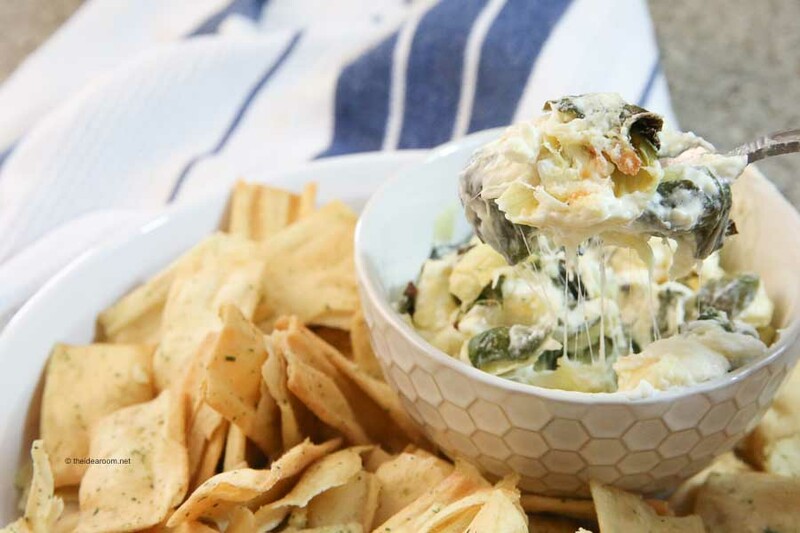 In a medium bowl mix together cheese, spinach and artichoke hearts. Set aside. In a different bowl combine sour cream, cream cheese, may and garlic. Mix the two different bowl ingredients together so they are mixed and fully incorporated. Pour into an 8x8 pan and bake for 25 minutes. Serve warm with chips, pita chips and crackers! Go ahead and whip some up today! It’s a fast and easy appetizer recipe everyone is going to enjoy! I will be here waiting for more recipe like this. Perfect for game nights and movie nights!! This has become a family favorite- thank you! Becca- So happy your family loves this recipe! 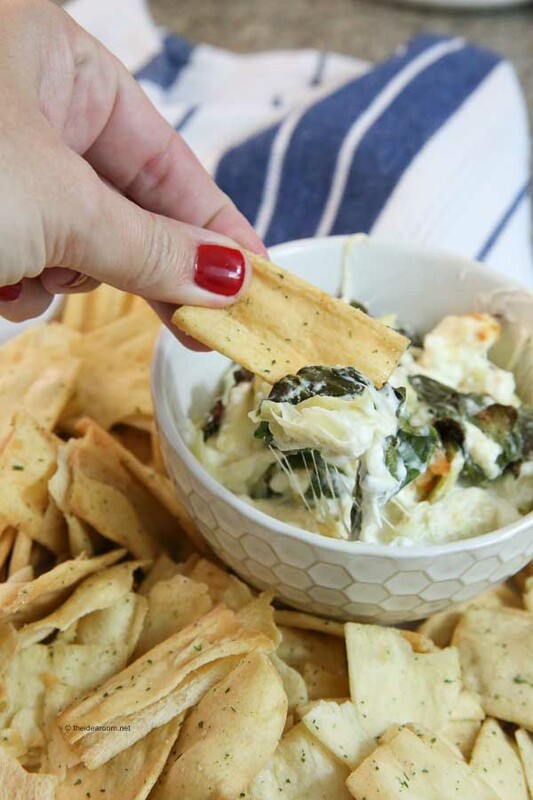 One of my favorite dip recipes. I can eat way too much of this stuff, so I can only make it when I’m taking it to a party! Kara- Me too! It’s addicting!